360 degree video is starting to become more popular. Filmmakers are testing the new technology and companies are coming out with new 360 degree cameras. A couple of years ago, I experimented with it- using Go Pros to create a 360 degree short film. That was before Youtube and Facebook could display 360 degree video, so I had to create my own video player. The custom player did what other online players can now do- it allows the user to pan around the scene and control what they look at. Creating 360 degree video works great if you are using a video platform that supports it. But what if you aren’t? I recently worked on a Kickstarter project for 121 Live, a personalized video streaming service. The new app will be able to connect streamers and subscribers. The subscribers pay the streamers to film something on a one-to-one basis. The service is also wanting to include 360 degree live streaming. 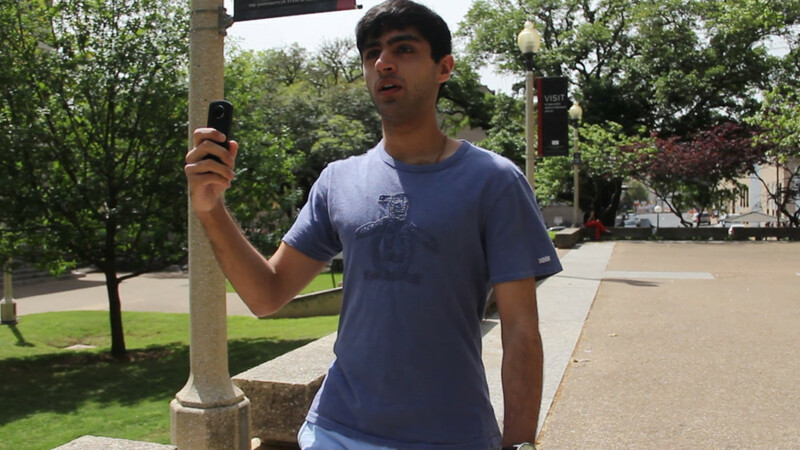 The main Kickstarter promotional video featured interviews with the people developing the app and custom animation that explains the concept of the app. 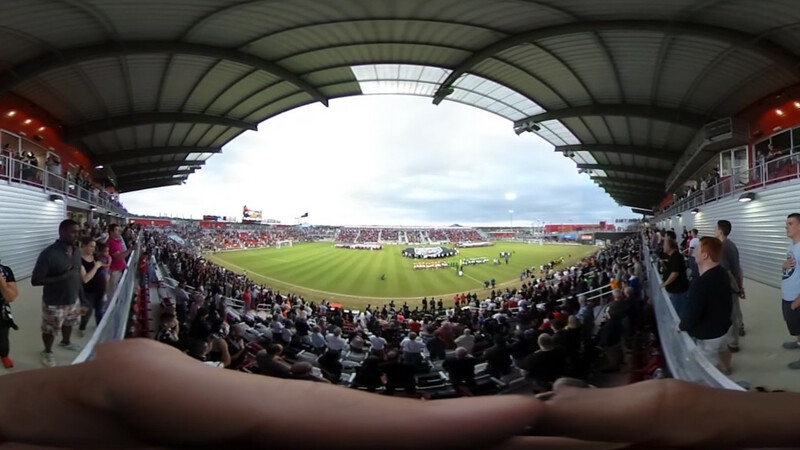 The video also featured 360 degree video. I had a problem. I needed to explain that 121 Live could support 360 degree in a video that wasn’t going to be 360 degrees. The user wasn’t going to be able to “look around” the video. It was a plain old 2D video. But it needed to have 360 degree footage in it. I had the 360 degree camera (the Theta 360) to film, I just needed a way to represent the footage. 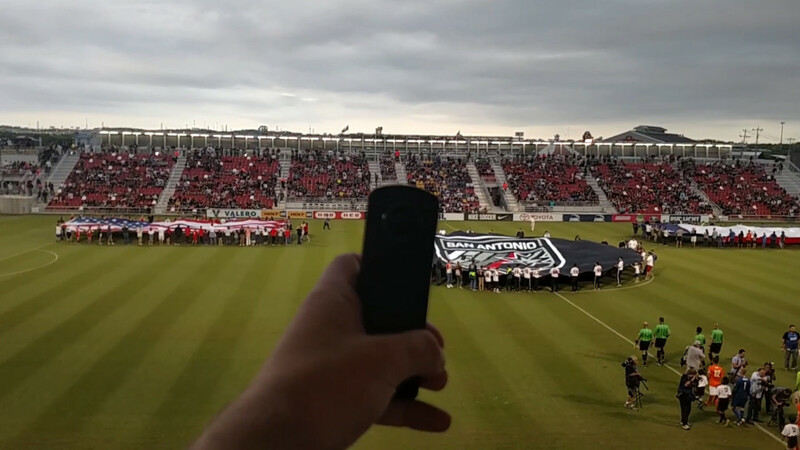 As a side note, the Theta 360 is a pretty solid all-in-one solution to creating 360 degree videos. First I did the obvious- the equirectangular (fancy word, right?). This is the standard format for 360 degree video. It’s the format you upload to Youtube/Facebook and they use to display the video. It does a decent job at conveying 360 degrees, but it’s not perfect. Most people aren’t familiar with 360 degree video, so they might think the equirectangular video is simply a wide angle video. It isn’t 100% clear what it is. The next solution I tried was a “360 orb thing”. I took the equirectangular projection into After Effects and projected it onto a sphere. I was able to rotate the sphere to show the full 360 degrees. I then took the sphere, scaled it up, and blurred it for use as the background. This solution isn’t perfect either, but I think the combination of the two create a strong association with 360 degree video. 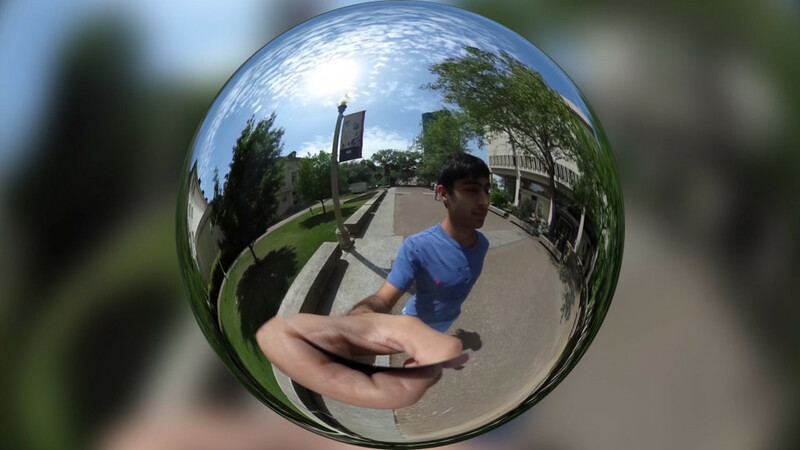 The 360 degree orb that I created to convey 360 degree video. I would love to hear if anyone has any better suggestions! This was a problem that I never really thought about until now.